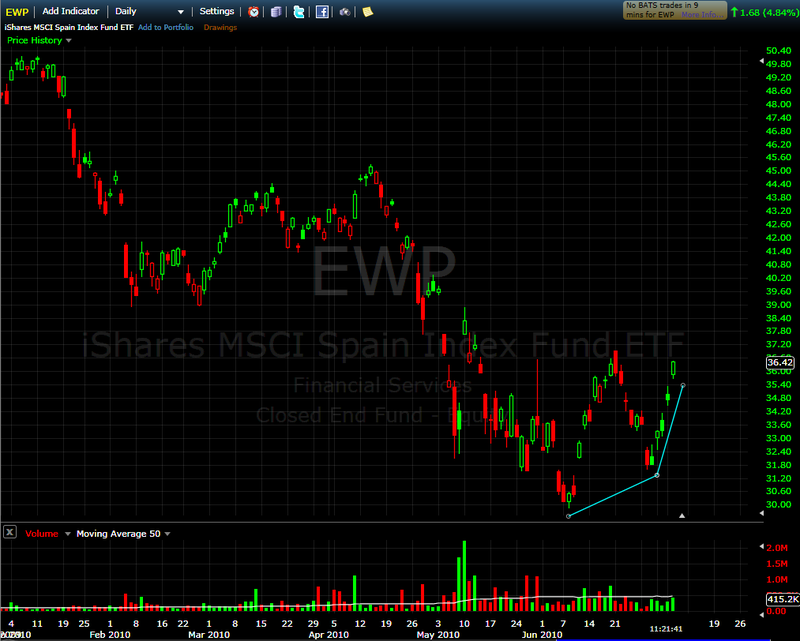 With all the excitement over the performance of Spain’s soccer team in the World Cup, it has been easy to overlook the performance of the Spanish ETF, EWP. From a low of 29.85 almost a month ago, EWP has now rallied 22.1%, even as the country’s credit default swaps have remained elevated. As the chart below shows, a close above 37 could signal a new breakout and perhaps a significant uptrend. More importantly, Spain is the tipping point in the European sovereign debt crisis as I see it. In a nutshell, as goes Spain, so goes Europe.